Ultimate Players AXCITE Attraction Guide. FREE with any order of AXCITE. With all of the doors and opportunities that AXCITE creates for you, we firmly believe that every man must know how to talk to women. It’s called “having game”. And that’s why we created the AXCITE Attraction Guide. Inside you’ll learn how to, in 3 seconds, overcome the anxiety of approaching women. Learn Just Who IS a Nice Guy and Why Nice Guys Are NOT as Successful. When Being Nice Does More Harm Than Good. 4 of the Most Common Myths Nice Guys Believe About Women and the Surprising Truth Behind Them. 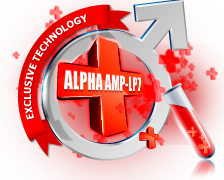 Learn What Defines an Alpha Male. Learn How Alpha Males Think and Behave to Become Successful. Myspace is one of the easiest places to score with the ladies. This guide contains the MOST EFFECTIVE steps for attracting women on Myspace, and will change your dating life forever. If you can follow the easy, step-by-step instructions in this guide, we guarantee you will have more women CONTACTING YOU than you can keep up with! By following the simple and proven steps in this guide you can easily get 15 dates a month without ever having to be rejected again. Initiate a conversation with a totally random woman and get her attracted to you without ever talking on the phone. A simple strategy that can DOUBLE and even TRIPLE the amount responses you get just by changing your profile picture.